Tougher rules on UK mortgage lending have been confirmed by the City regulator, but they will come into force later than anticipated. Lenders will have to put a borrower's ability to repay under greater scrutiny as a result of the rules from the Financial Services Authority (FSA). 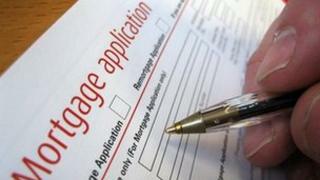 The plan is to stop a resurgence in risky mortgage lending seen during the last housing boom in the UK. But imposition of the new regulations has been put back to April 2014. Under the proposals, which went through consultation, the rules had been expected to come into force in the summer of 2013. The basic idea behind the regulations is to ensure that future borrowers are not advanced home loans that they cannot afford. Mortgage lending reached reckless levels during the last housing boom, and helped to push up property prices, the regulator has said. Some lenders handed out mortgages with only cursory checks on borrowers' real ability to repay. Others allowed potential borrowers to exaggerate their level of income, through self-certified mortgages, and so gave out loans that totalled many multiples of an applicant's income. Only record low interest rates, and some restraint by lenders, have prevented a deluge of homes being subsequently repossessed. Now, self-certified mortgages have already been as good as outlawed. Other changes will be based around an affordability check on borrowers. "We recognise that many lenders are now using a far more sensible set of lending criteria than before, but it is important that these common sense principles are hard-wired into the system to protect borrowers," said Martin Wheatley, managing director of the FSA. "We want borrowers to feel confident that poor practices of the past, which led to hardship and anxiety, are not repeated." The FSA also said that, with immediate effect, lenders must not take advantage of a borrower, unable to get a mortgage elsewhere, by treating them less favourably than other similar customers. So these applicants must not be offered a worse interest rate or terms. "Consumers will however be faced with more detailed questions and the need to demonstrate that they can afford a loan - the application process may take rather longer than it does today too," said Paul Broadhead, head of mortgage policy at the Building Societies Association. "The key will be that the borrower has a sensible repayment strategy in place. Relying on rising property prices and sale at the end of the mortgage term won't wash."
Paul Smee, director general of the Council of Mortgage Lenders, said: "In practical terms, the regulatory changes have already been widely anticipated and so are unlikely to create any significant additional or unexpected impacts."